Dutch ranger Andre Donker sighs as he looks out at the rippling grey waters of the Markermeer, one of Europe’s largest freshwater lakes. “Once upon a time it was teeming with fish here,” he says. 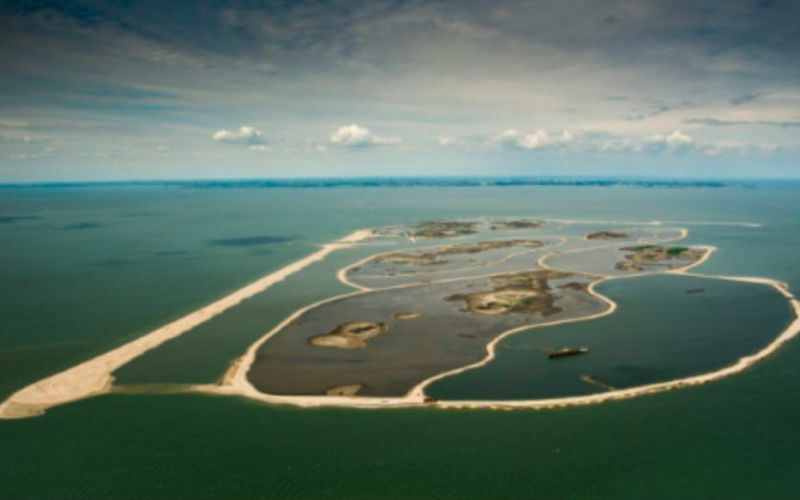 But this vast 700-square-kilometre (270-square-mile) expanse of water, which regulates the level of water in the rest of the Netherlands, had become until recently nothing more than a cloudy mass devoid of aquatic life. It is “one of the largest rewilding operations in Europe”, says Donker. Over the subsequent decades, sediment used to create a dyke separating the Markermeer from a neighbouring body of water, the Ijsselmeer, washed away and sunk to the bottom of the lake. “We had to intervene,” says Donker, wearing a woollen hat to brave the storms from the North Sea. Eight kilometres (five miles) from the port of Lelystad, the ranger walks down the side of an artificial sand dune. Other similar dunes stretch out beyond it as far as the eye can see. In the water there is an “explosion” of plankton that “guarantees a large amount of food for the birds”, says Donker, in his fifties and whose weathered face shows the signs of 20 years in the job. The project, initiated by Natuurmonumenten, a Dutch non-governmental organisation working for the preservation of nature, cost 60 million euros ($68 million) — much of it donated by individuals. His team dug a 1,200-metre “corridor” on the main island which allows the silt, led by strong ocean currents, to form marshy areas, fertile soil and reservoirs where migratory birds can eat. Three wooden bird observatories, a house for the island’s guardian, 12 kilometres of footbridges and unpaved roads have also been built on the main island, which is open to the public. The four others are exclusively reserved for wildlife and plants — a once-sterile space now returned to nature.